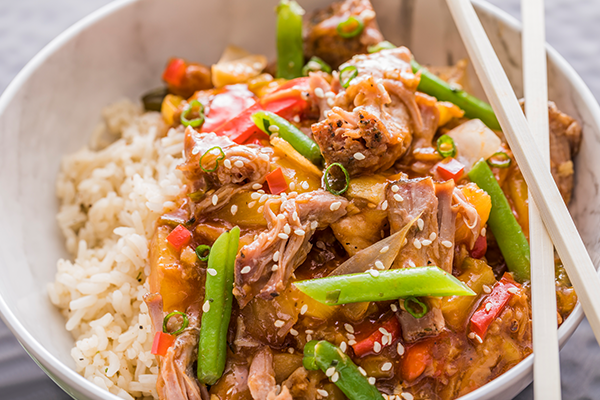 I’ve shown you amazing main dishes like pulled pork chile verde, open-faced pulled pork sandwich and sweet & sour pork. 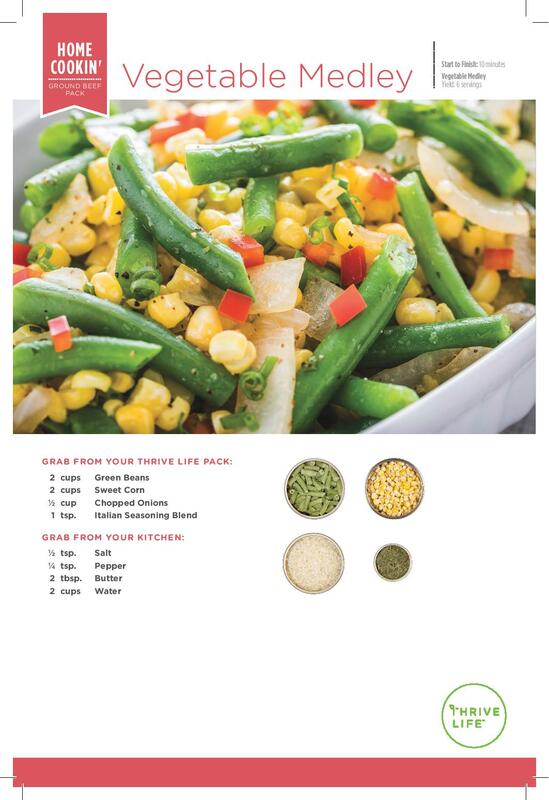 Now take a look at our delicious side dishes. 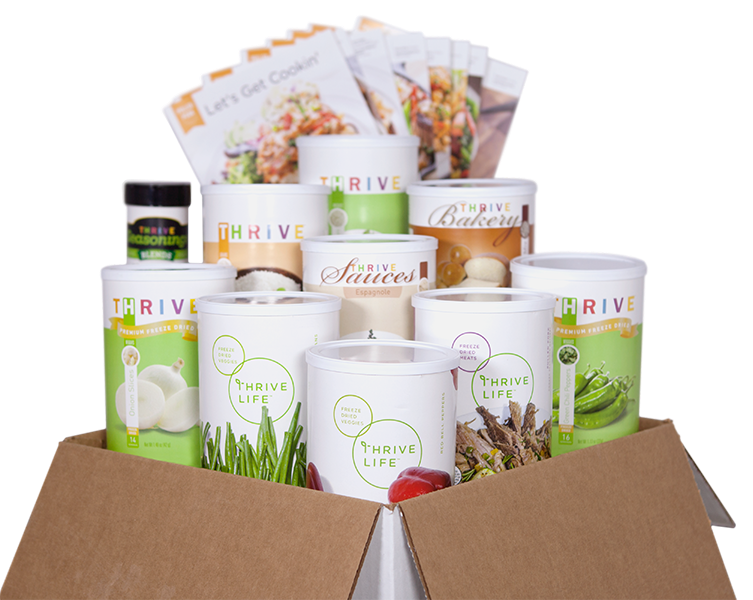 The more Thrive Life food I eat, the better I feel! Introducing the Pulled Pork Creations Pack! Wondering what’s for dinner? 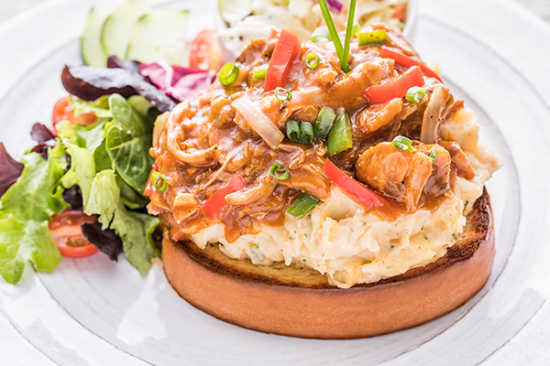 Get the Pulled Pork Creations Pack and make these chef-crafted recipes in under 30 minutes! I started with this recipe because it’s the first one I made with my pack. It was delicious and perfect for a weeknight dinner after work. 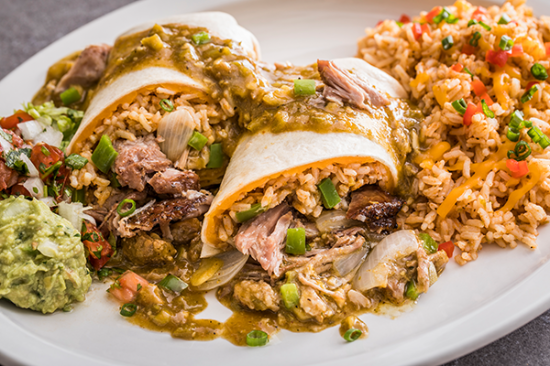 Pork Chile Verde takes 16 minutes to cook. Host Promo! 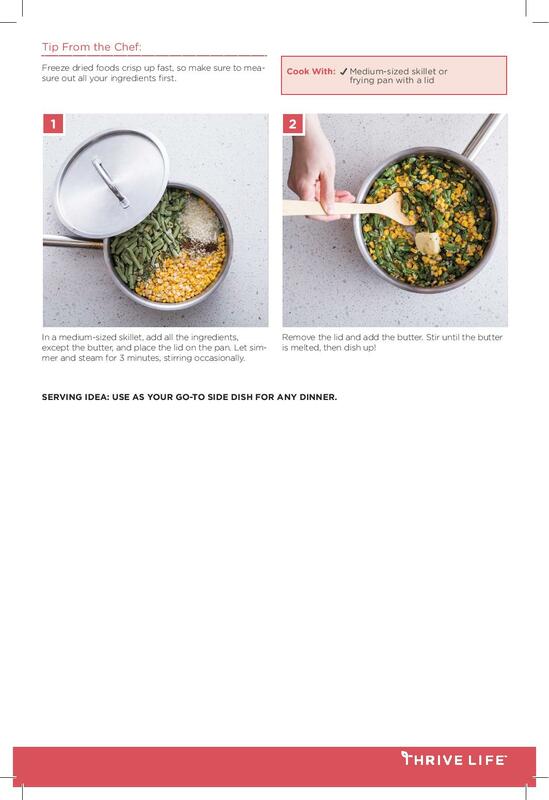 Free Ground Beef Home Cookin’ Pack! Let’s talk about when you want to have your party! You will receive a host gift, plus all of our great benefits. Party sales of $1000 or more will earn a free $100 Ground Beef Home Cookin’ pack, plus $100 in free groceries, plus a lot of half-off groceries! I will send everything you need to have a successful, fun party. Check out my party by mail video on Instagram. Are you receiving my newsletter? I love to share exclusives there. Sign up is easy and takes moments. 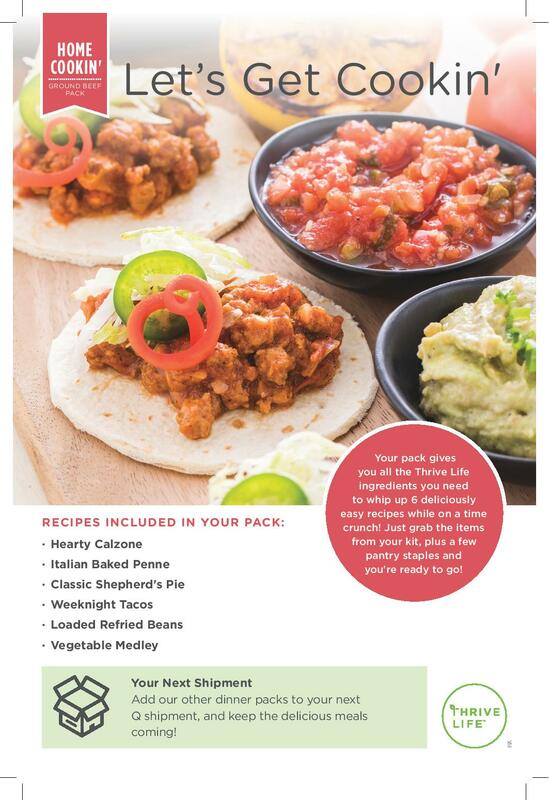 More info about Instant Quinoa! What will you do with instant quinoa? I’m planning a peppers & sausage quinoa bowl. Yum! 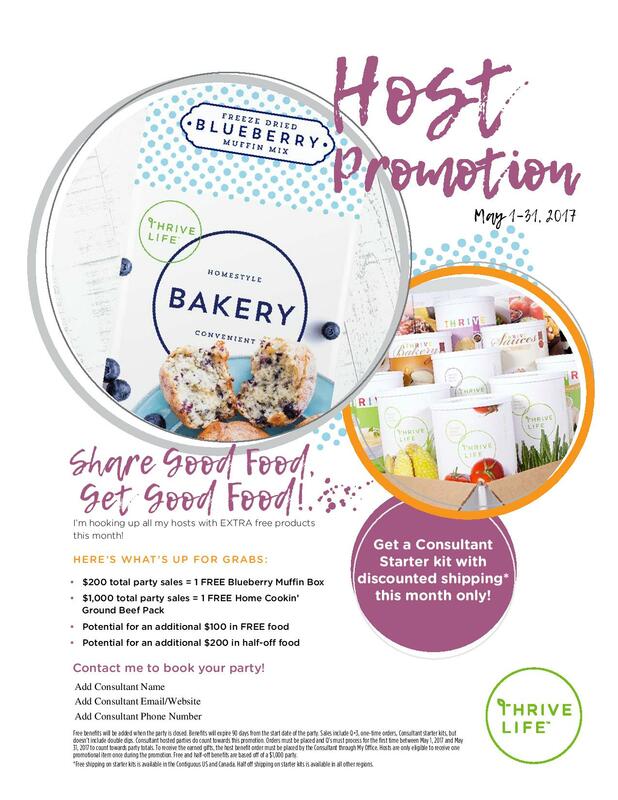 Join The Thrive Tribe – Special Incentives For May! 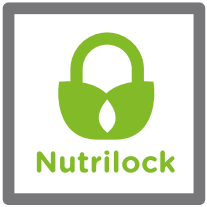 Your food business, your way. Your hours. Your bonuses. Your chance to earn as much as you want to. Free groceries. Commission on your own groceries! Who does that?! Thrive Life does! All of the details are here. All of them. This month, all you need to do is purchase one of our three starter kit options, which ranges from $129-$474. From then on, you just need a personal Q shopping order of $50 each month to qualify for commission. And don’t forget, you’ll earn 5% back on your personal Q over $50! 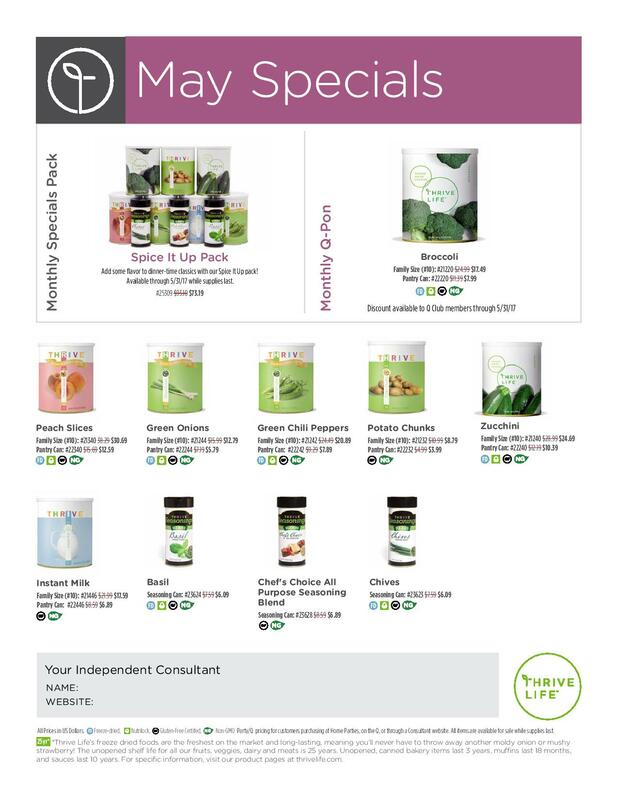 When you commit to the Q for at least $100 each month ($50 for consultants) you will receive a lot of free bonuses, like free food, a free mini analysis or a free chakra balancing and bonus Q points you redeem for free food whenever you like for each dollar you spend. 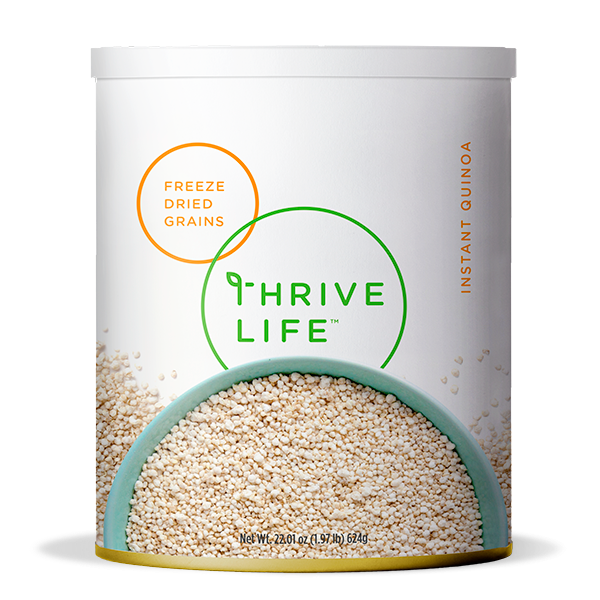 Having a Q allows you to order the new instant quinoa right away instead of waiting until the 8th. Remember, you have to have a Q to get that amazing price on the broccoli. My faves from this month are peaches, green chiles, zucchini and Chef’s Choice. Not in that order.